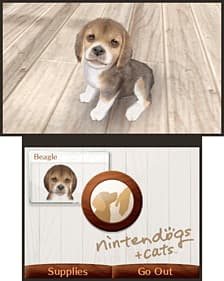 Adorably life-like puppies and kittens react to your touch and your voice using the built-in camera, touch screen and microphone. 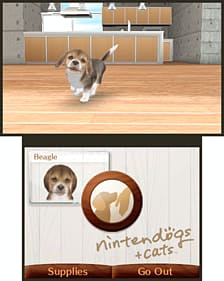 The facial-recognition technologies on the Nintendo 3DS even let puppies recognize their owners. 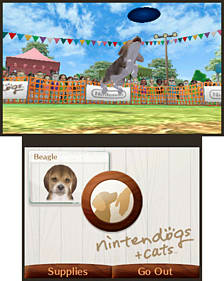 Puppies and kittens are waiting to start a brand new life with you on Nintendo 3DS family systems! Looking after a pet can be a serious commitment however, so why not adopt one on a temporary basis is first? 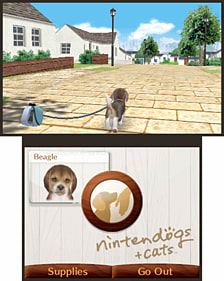 With this demo, you can look after your very own Golden Retriever, who lives inside your Nintendo 3DS! 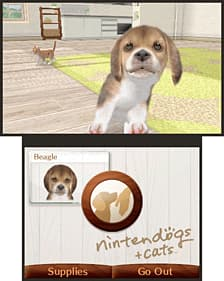 Take it for walks, feed it and look after it. You might just become lifelong friends!